The Townhouse is attached to The Muntham Apartments but is entirely self contained. It is laid out over three floors and offers up to five guests wonderful luxury accommodation that is spacious and full of character. Antiques, original art works and intriguing curios combine to make this a very individual holiday rental. On the top floor are three bedrooms. The main bedroom has a king sized bed (UK size 5 foot width) and features an ensuite with large shower. There distant sea glimpses from the bedroom. Th ebdroom also has its own flat screen TV. The second bedroom has a super king sized bed which can be separated to form two single beds. It oo has a TV. There is also a single bedroom and a family bathroom with a bath and a separate shower. On the floor below is the main living space. This includes a chic and peaceful sitting room which has original working shutters. There is also a formal dining room plus an Agatha Christie inspired study. At garden level there is a kitchen / diner which has a door onto the terrace where there is informal setting in the summer months. There is a garden for the soul use of guests at the townhouse. The property is situated in the Wellswood area of Torquay which is a five minute drive from the town centre and harbour. 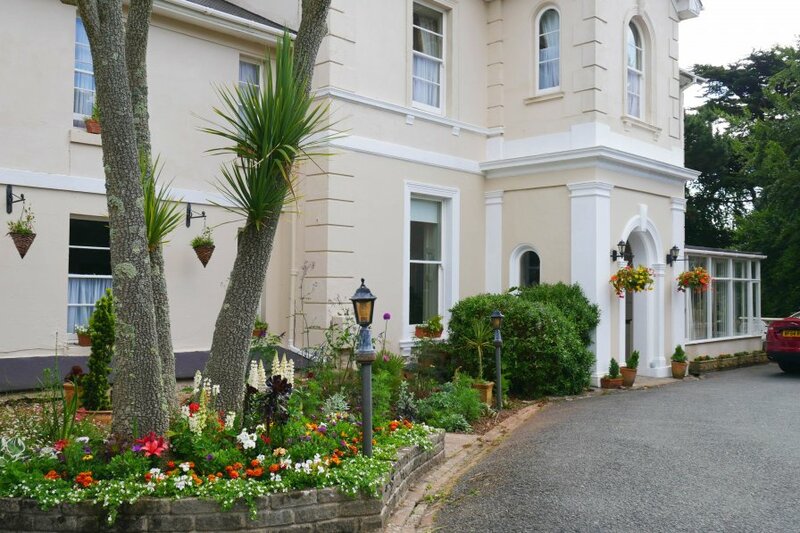 The highly desirable leafy residential area of Torquay has superb access to all that the English Riviera has to offer There is plenty of public transport in the area which makes getting around very easy. At the heart of the neighbourhood is Ilsham Road which is often referred to by locals as "Wellswood Village" for here can be found, a pub, post office, pharmacy, restaurants, cafe, hair and beauty salons, delicatessen, and a patisserie. This is also where one of the English Riviera's main visitor attractions is located - Kent's Cavern.